Okay, you’re a lawyer – how is this not a public offering? Loveland says it does not deed the inches; instead, they own the inches so that “you won’t have to worry about things like paying taxes or other legal implications. The way this works is LOVELAND legally owns the property and is extending social ownership to its inchvestors.” See http://inchernet.com/join. That’s pooling money and relying on the efforts of others. I know they’re in this to do good, but they clearly describe their offering as ownership, not a contribution, a la Kickstarter. Last time I checked, Rule 504 of Reg D didn’t include an exception for “social ownership.” See http://www.sec.gov/answers/rule504.htm. This strikes me as indistinguishable from the buyabeercompany.com fiasco. There, enterprising fellows tried to raise money to buy Pabst Blue Ribbon by selling “social ownership,” which violated Reg. D (or more accurately, didn’t qualify for the Safe Harbor under Reg. D). See http://www.sec.gov/news/press/2011/2011-122.htm. Is the answer simply that no one cares because the organizers are motivated by altruism? I find that hard to believe. The investors aren’t necessarily motivated by altruism; this is being sold as ownership of an entity that owns land. That’s a public offering–in fact, the classic case defining an investment dealt with exactly this kind of situation, with contracts that purported to sell individual citrus trees in a grove. See SEC v. Howey, 328 U.S. 293 (1946), available at http://supreme.justia.com/cases/federal/us/328/293/case.html. Hi Earl, I don’t practice securities law, but here’s my take. I don’t think LOVELAND is selling securities, as that term is used in Rule 504. The website makes clear that “inchvestors” contributing to LOVELAND have no legal right in the property; LOVELAND owns the property and this is just a fun, creative way for them to fundraise. Howey describes a much different situation: Investors in that case entered into a land-sales contract and had expectations of profit. And the folks behind buyabeer were giving people ownership certificates and promising to pay them back for their contributions (in beer) once they took over PBR. Here there’s no contract, it’s just a contribution to LOVELAND’s efforts in Detroit. LOVELAND lets the “inchvestor” put stuff on their “inch” of property, but that is just another way of getting volunteers involved. 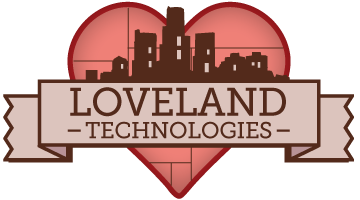 I e-mailed the people at LOVELAND, and they said that they checked with lawyers, who saw no problem about the project. They compared it to cities that fundraise for a new public project by letting people name a brick. Hope this answers your questions; thanks for the feedback!